DAVID LE/Staff photo. 2/27/15. 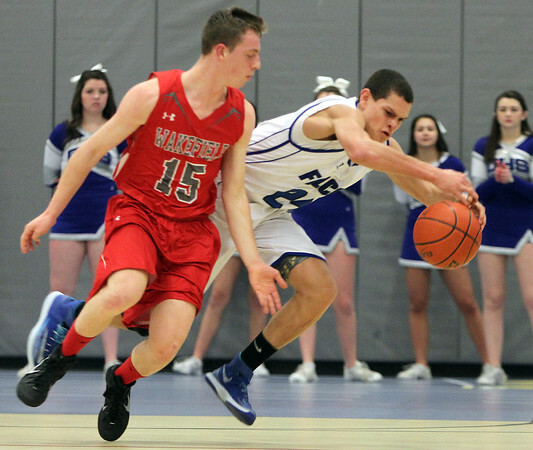 Danvers sophomore Devonn Allen gets fouled by Wakefield senior MJ Urbano (15) while bringing the ball up the court.